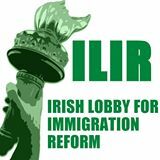 Our Immigration Reform advocate and volunteer co-coordinator Sean Conroy has been in touch with many people who attended the recent Irish Lobby for Immigration Reform meeting in St. Brendan’s. Sean has been briefed by Geri Garvey, our Irish Apostolate Administrator on the ground in Washington DC, and another phone bank was held this week. Many volunteers have come forward to participate. Sean and his group of activists are now concentrating efforts on members of the House of Representatives. A list of the representatives we need to call has now been compiled and readers can email us at the address below for it. Our thanks go out to all those who have responded and are participating in these advocacy efforts. Immigration Hotline calls this week. You may want to consult a certified public accountant on your tax returns. U.S. citizens are taxed on their worldwide income, no matter where they work. Some taxpayers may qualify for the foreign earned income exclusion, foreign housing exclusion, or foreign housing deduction, if their tax home is in a foreign country. If the taxpayer is temporarily away from his or her tax home (less than a year), the taxpayer may qualify to deduct away from home expenses. The complexity of many tax questions requires the expertise of an accountant. The Irish Pastoral Center ( IPC ) advises all immigrants and US citizens to file tax returns in a timely fashion. Over the years I’ve spoken to many people who ran into major financial difficulties as a result of tax related matters. Some who had failed to disclose income were later caught for same and faced huge fines and penalties. Tax returns are frequently requested by the US Citizenship and Immigration Service(CIS) in connection with filings for legal permanent residency status and US citizenship. Immigrants get to have a free one to one confidential consultation with experienced attorneys at our clinics. Meantime email me with any questions on immigration and citizenship related topics.